We provide a full range of caravan and motor home services, upgrades, maintenance and repairs, designed to keep your caravan or motor home looking great and functioning perfectly. Our speciality is installing and maintaining high end and luxury after market upgrades, accessories such as Levelling Systems, Air Suspension, Air Conditioning and Solar Power Systems. 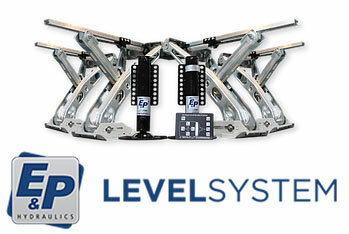 We partner with only the best manufacturers to provide the complete solution. We have the expertise and experience to solve all of your caravan or motor home conundrums, a one stop solutions provider. Effortlessly level your caravan or motorhome in 2 minutes with just the press of of a button. No bending, jacks, drills or wedges. Keep your investment in top condition and your manufactures warranty valid. 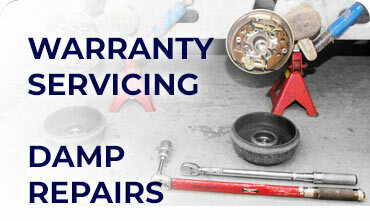 We carry out all warranty servicing and are service agents for major manufacturers. In addition to full running gear and habitation servicing, we also perform damp testing and repairs. 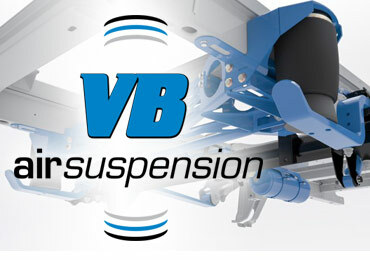 We are proud to be authorised installers of VB Air Suspension to improve the handling and stability of your motohome. All of the VB solutions are type and manufacturer approved and won't affect your vehicles warranty. Booking is essential to save a wasted journey.